“Ms. Fizz” offers handmade pinball necklaces. 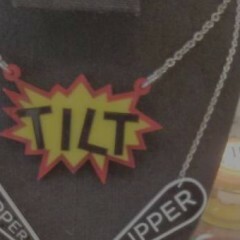 I would seriously sport the TILT necklace. Not so much the ball and flippers, but the TILT necklace works.